Soundminer V4 Pro is the international standard for the administration of sound material. V4 Pro is made for everyday use in professional sound editing environments, regardless of content (music, sounds, location sound recordings or sound effects). 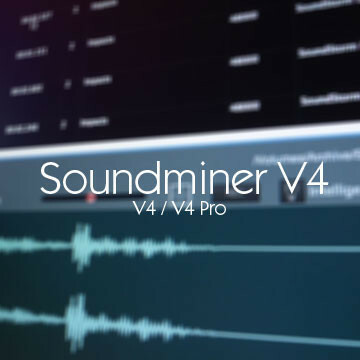 Soundminer V4 Pro is not only the standard administration software at George Lucas' Skywalker Ranch, it is also used in countless Post Production facilities around the globe. Many other sound designers, sound editors and industry people use it on a daily basis too. Soundminer V4 Pro guarantees a cutting-edge workflow and offers numerous possibilities in its use as a sound design tool; it is being used on blockbuster movies with a range of budgets. 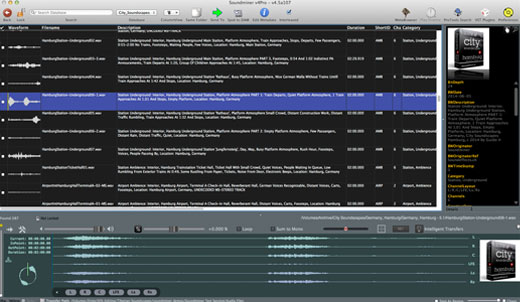 Soundminer V4 Pro is the link between archive and production software. Large networks with multiple edit suites can be connected conveniently with V4 Pro—and the administration of sound archives of all sizes is just as simple. Even the largest archives become manageable with V4. 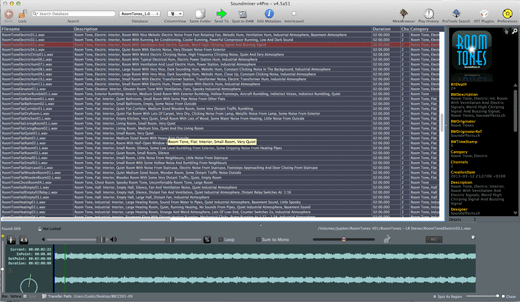 Soundminer V4.5 Pro is a soundminer product. Full compatibility with editing systems like Pro Tools, Nuendo, Pyramix, Final Cut, Logic, Media Composer etc. 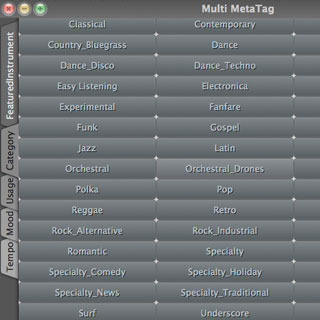 Soundminer metadata standard: Soundminer's unified metadata fields are compatible with almost any sound effects and production music labels. Archive administration: comprehensive tool set for reading and editing of metadata. Integrated sound design tools, e.g. real-time audio pitcher, live scrubber, time stretch/compression, recording function for all audio manipulations and playback. 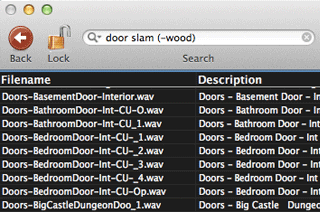 Soundminer offers a comprehensive search engine to help you find particular sound files. 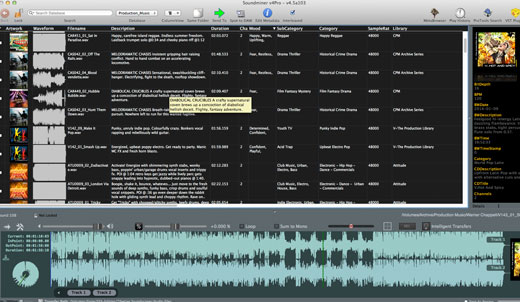 With Soundminer, even the biggest archives become easy to grasp and browse. Just search the sound files by keyword and keep refining the search until you have a clear and relevant selection. You can search individual columns, sort results according to your liking, view all sound files in a particular folder or category and much, much more. Apart from comprehensive search engine features to find sound files, music and sound effects, the Soundminer programs also offer many options to transfer sound files. You can either transfer individual files directly or entire archives containing thousands of sounds - either with the original folder structure intact or without folders, but with the files in their original resolution and audio format. Other options are also available, depending on your requirements. 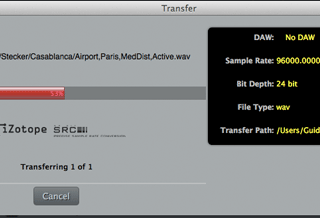 Transfer the found files directly to industry-standard editing systems to streamline your cutting-edge workflow. Soundminer automatically recognizes current sessions, locates target folders, audio formats and resolutions, so you can focus entirely on the production aspects of your work. At this time, the following systems are supported with drag and drop or spot to timeline: Pro Tools 10, 11, Nuendo, Pyramix, Apple Family (Logic Pro, Final Cut 7, Soundtrack Pro), AVID Media Composer, Adobe Audition, DSP-Quattro, Adobe Premiere, SoundBlade, Ableton, Studio One, Rax, iZotope RX and Iris. System integration is highly individual and depends on the software used. You can play back multi-channel audio material via Soundminer V4 and Rewire directly through your editing system. Your playback channels are sent over an internal, invisible cable straight into your editing system. Then they are played back through your multi-channel audio hardware. The Soundminer V4 Playback Module can play back up to 8 (7.1) channels via Rewire. The following formats are supported: M/S, LCR, LCRS, L/R/Ls/Rs, 5.1, 7.1. 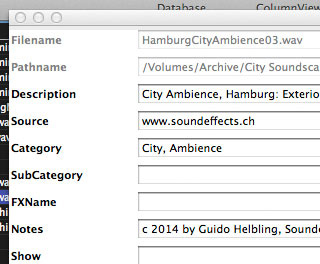 Almost all current sound and music archives now comply to the metadata standard created by Soundminer. This means that you can simply import new archives. V4 comes with several table layouts that are optimized either for music or sounds, depending on their intended use. Additional data fields (e.g. iXML or language-specific fields) can also be displayed. V4 features many possible ways to work with metadata efficiently. With the following tools you can re-name individual fields, selected areas or even entire archives. Also available are administrative functions that allow the generation of new data fields to make life easier for archivists (only PRO version). Keep your archive organized with Soundminer! 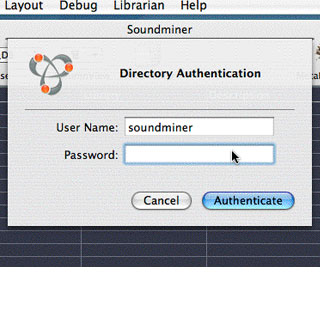 Soundminer Server is network compatible. You can access the main server containing all sounds and noises straight from your studio or workstation. You can continually assign rights and decide who gets to access and change what archives. You can make databases with different content accessible to different users and administrate everything conveniently with V4 Pro. Connect to the central server via V4 Pro and HD Plus. This way you will share the same database with all of the three server applications. All changes made to the server databases are online immediately and available everywhere. 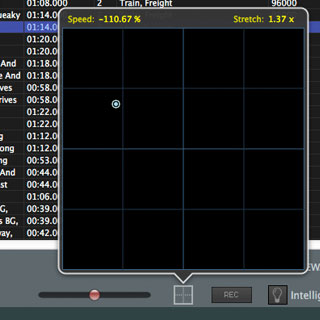 Soundminer V4 features a number of sound design tools to work on the audio material. You can pitch sounds in real-time or simulate the behaviour of an analogue tape machine with the scrubber. This has the same effect as inching the tape forward by hand. Feed your favourite VST Plugins straight into Soundminer V4.5. Soundminer V4.5 supports VST Plugins and together with the Plugin rack offers comprehensive options for changing sounds or creating new ones. Remove noise with your favourite Denoiser, add much or little reverb to noises and sounds and render everything into a new, self-contained file according to your requirements.